Gartner predicts that there will be 25 billion Things online by 2020. These smart, connected devices have the potential to provide marketers with data sets that aren’t just overwhelming in size, but varied in scope. People have proved time and again that they’re willing to trade-off data mining if it proves useful for them and it’s done transparently. While capturing information and analysing it to inform campaigns is nothing new, the depth and breadth of information that it will be possible to gather by the time the Internet of Things (IoT) is fully with us has the potential to present major challenges to CMOs who aren’t prepared for it. But it’s not all bad news, as the IoT also has the potential to give a competitive edge to those who get a handle on it early. So what can today’s marketers do to prepare? Understanding the sensitivities surrounding the gathering of customer data is the first challenge. People have proved time and again that they’re willing to trade-off data mining if it proves useful for them and it’s done transparently. Tesco uses data from its loyalty scheme to offer vouchers on frequently-purchased items; Google trawls its customers’ email accounts to target ads based on conversations. But these invasions of privacy are tolerated, because customers know it’s going on and they find the results useful. It’s a fine line and the lesson for marketers is to make sure they understand the ethics involved and their customers’ expectations (and rights) to privacy. Transparency about what data is being collected is essential from the outset to ensure customers realise they have a choice and can therefore buy into the idea. To get it right, marketers will need to become commercially savvy, statistics-spinning data gurus, without losing sight of a marketer’s core competency: exceptional communication with the customer. The next challenge is organising the data sets now at marketers’ disposal. The marketers of tomorrow will either need to develop, or recruit, an entirely different skill set to those traditionally found in the marketing toolbox, to ensure they are able to make the most of the opportunity presented by the IoT. Marketers will also have to integrate to an even greater extent with other corporate divisions that don’t normally have much interaction with marketing. Big data is only useful when set in context. Often, the key to that context will lie in other departments’ numbers and it’s only by persuading them that there is value in proactively sharing potentially sensitive information with the marketing team that the true benefits of big data will be realised. 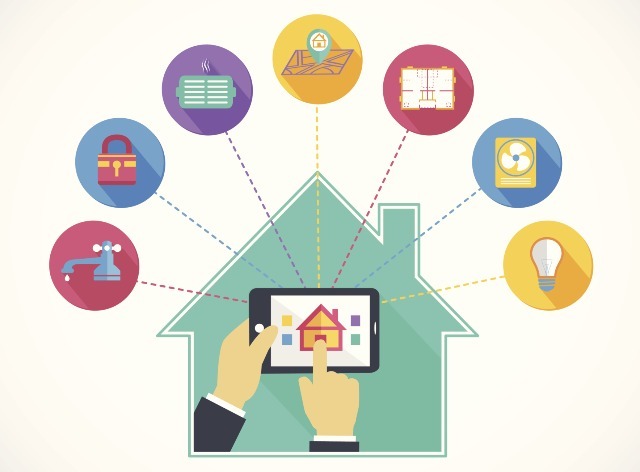 The rise of connected devices also opens up new marketing channels in a major way. It will soon be possible to communicate with customers with targeted ads or messages through just about any connected device in their home or in their work environment. Just as online advertising has revolutionised marketing with accurate metrics like cost per click, IoT has the potential to extend that kind of precision into every part of the marketing mix. Inevitably, this means even greater fragmentation in terms of the channels open to marketers and success will come down to being able to pick and choose which will deliver the greatest return. Where data poses a challenge to marketers, it also offers a solution: greater amounts of higher quality information should, in theory, make it even easier to make positive commercial decisions. Just as online advertising has revolutionised marketing with accurate metrics like cost per click, IoT has the potential to extend that kind of precision into every part of the marketing mix. Yes, the Things are coming. But marketers that prepare in advance, swot up to ensure they understand the very latest on ethics and privacy and get a clear handle on managing large customer data sets early, really don’t need to be afraid. They could represent the next big opportunity they’ve been looking for.